Where Are My Cosplay Testicles, Summer? 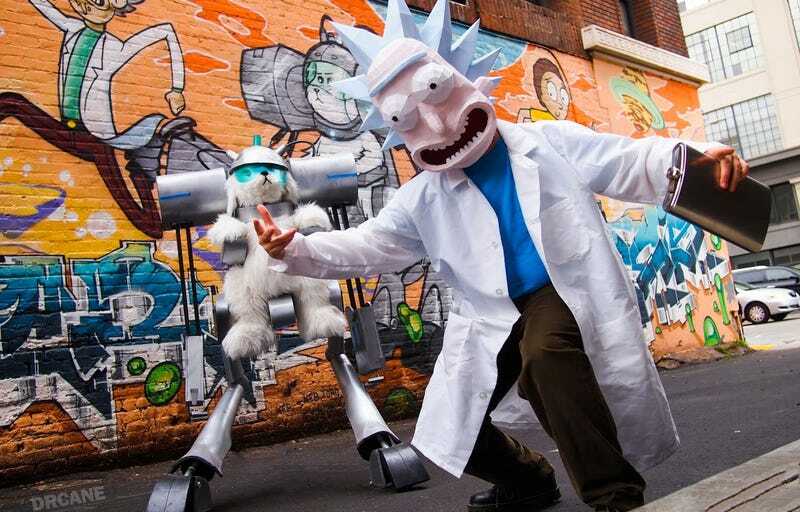 Cosplayers Drcane (who built Snowball) and his friend Jerry (Rick) have outdone themselves here with this Rick & Morty shoot. Snuffles/Snowball isn’t an outfit (there’s nobody in there), it’s more of a prop, but still. It looks awesome. The matching graffiti is also a nice touch.